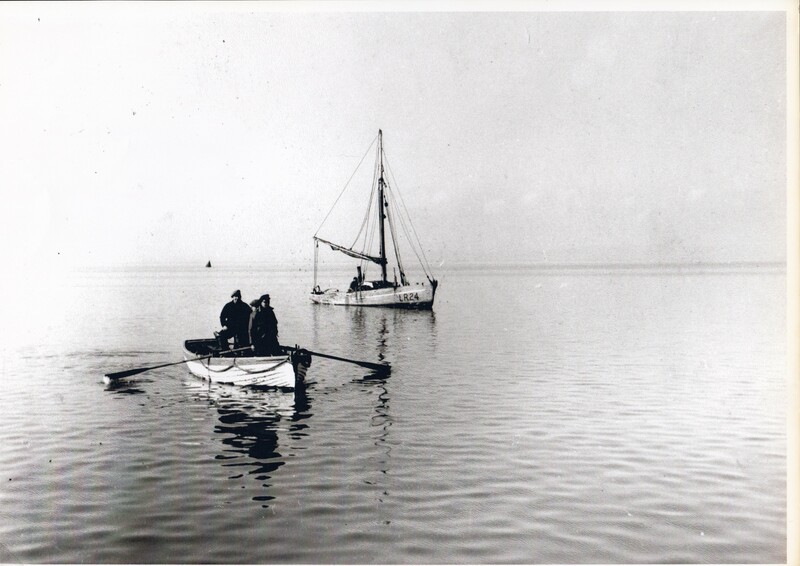 Fishermen sculling ashore with LR 24 “Linda” in the background. “Linda” was built by Crossfields of Arnside in 1920, being 32 ft overall with a beam of 10ft., weighing 3.17 tons. She had an auxilliary motor and was rigged with a mainsail, top and jib sails. Later owned by Amos Willacy (24.1.38), she was registered at Lancaster as LR 24.